MPS Clean-Up 2010 | Hyundai Motor Manufacturing Alabama,LLC. 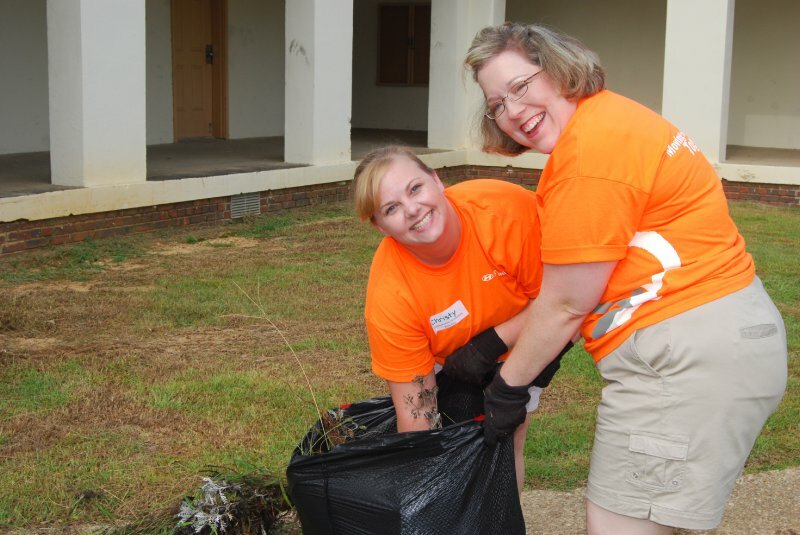 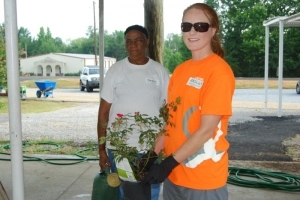 Students from the Montgomery Public School System returned to school campuses that were clean, neatly landscaped and clutter free thanks to the efforts of the Montgomery Area Chamber of Commerce. Each year the Chamber works with the school system to tidy up local schools and get them ready for the upcoming school year. 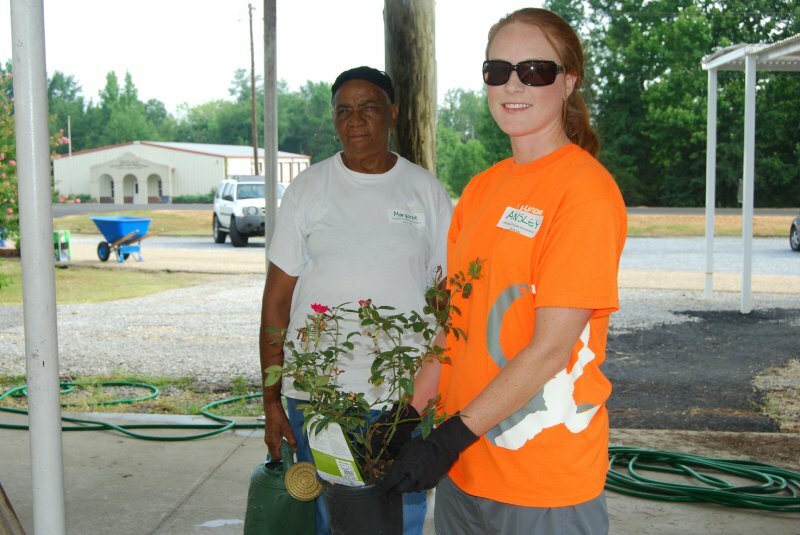 Local businesses and organizations pull together volunteers that help by mowing grass, trimming trees, removing clutter, painting and more. 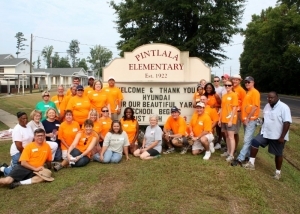 On Saturday, August 07, 2010, HMMA and its Team Members joined forces with the Chamber to prepare Pintlala Elementary school for the upcoming year. 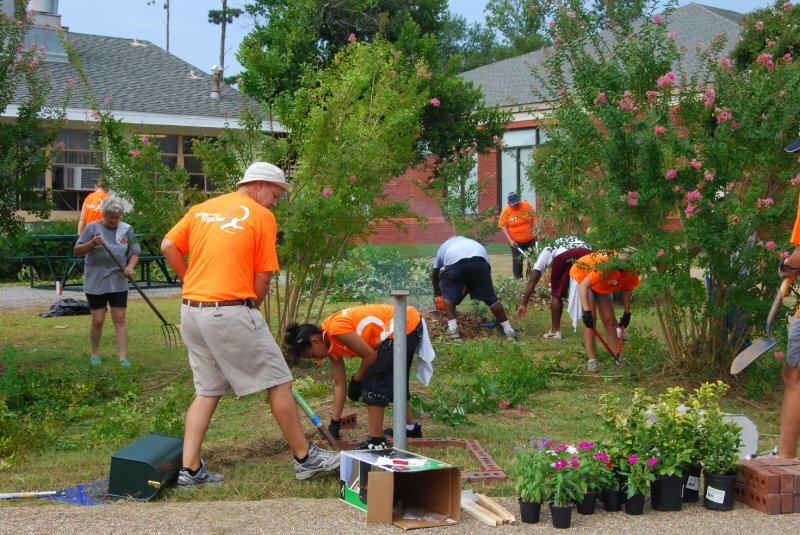 Not only did the Team Members perform the expected clean up duties, they went the extra mile by hauling off old picnic tables, building a flower bed around the mailbox and planting an abundance of knock out rose bushes around the school’s campus. 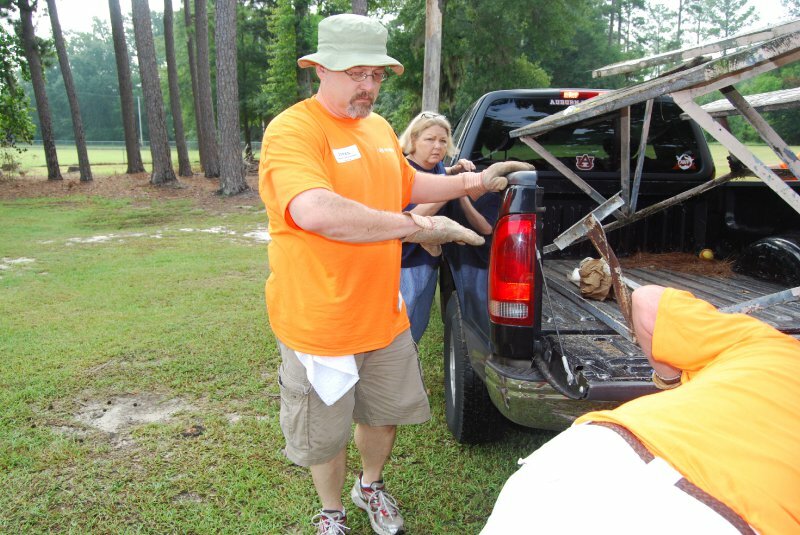 Despite the extremely high temperatures, HMMA Team Members worked hard and had lots of fun until the job was done. 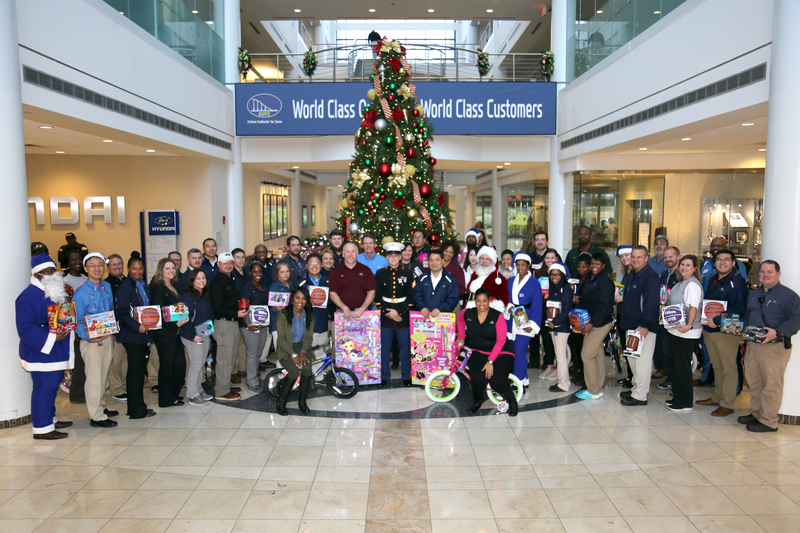 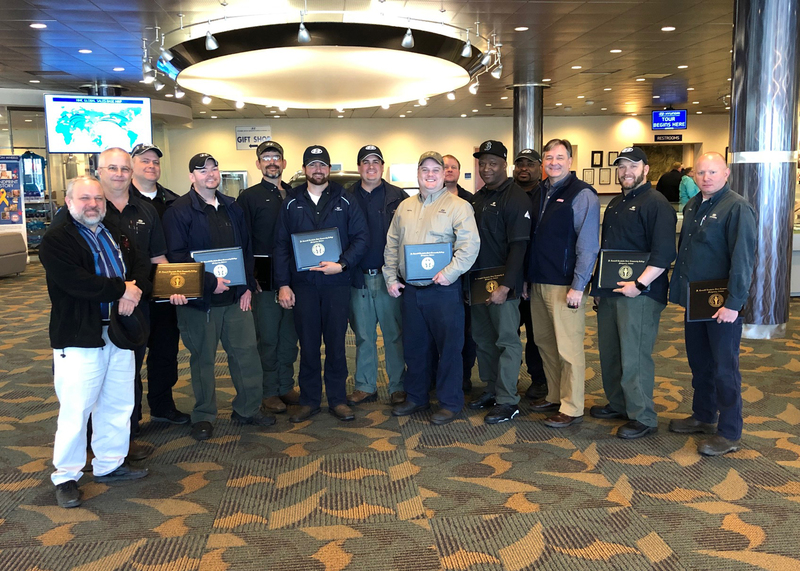 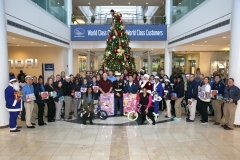 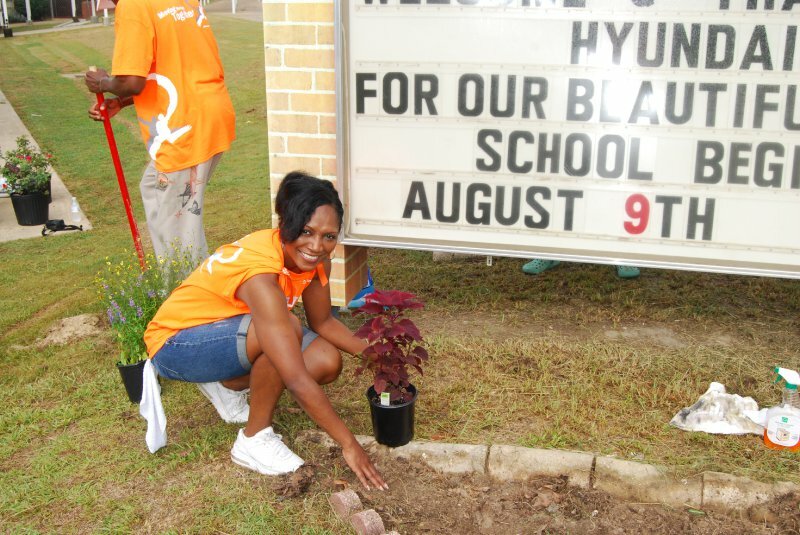 This was Hyundai’s first year participating in the project and even though the work was hard and the temperatures warm, lending a hand to help the Montgomery Public School System was rewarding for all that participated. 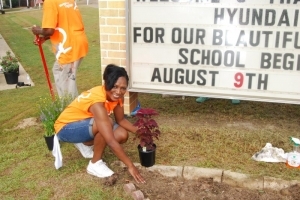 HMMA plans to assist with future school clean up projects so they are attractive venues for great minds to develop.